This one is our best selling scent in our men's products that even women couldn't keep their hand off it. 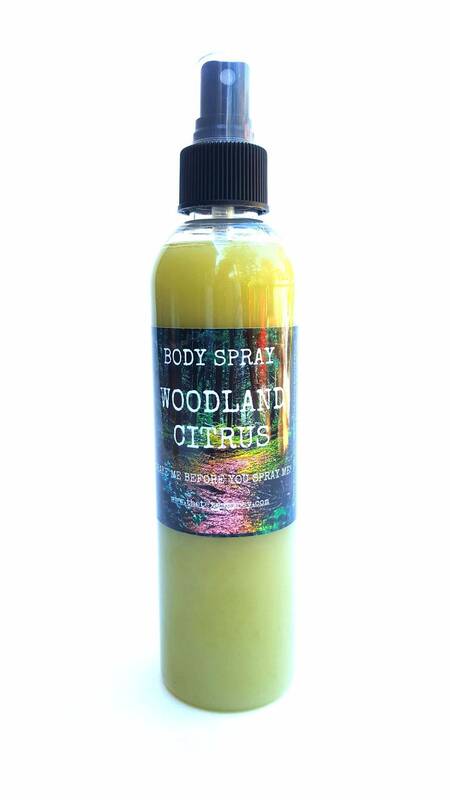 Woodland Citrus is an amazing Unisex scent that Blend all your Favorites. Earthy Nag Champa with a Fusion of Zesty Citrus Essential oils and a Notes of Eucalyptus ! Its a Real Crowd Pleaser! 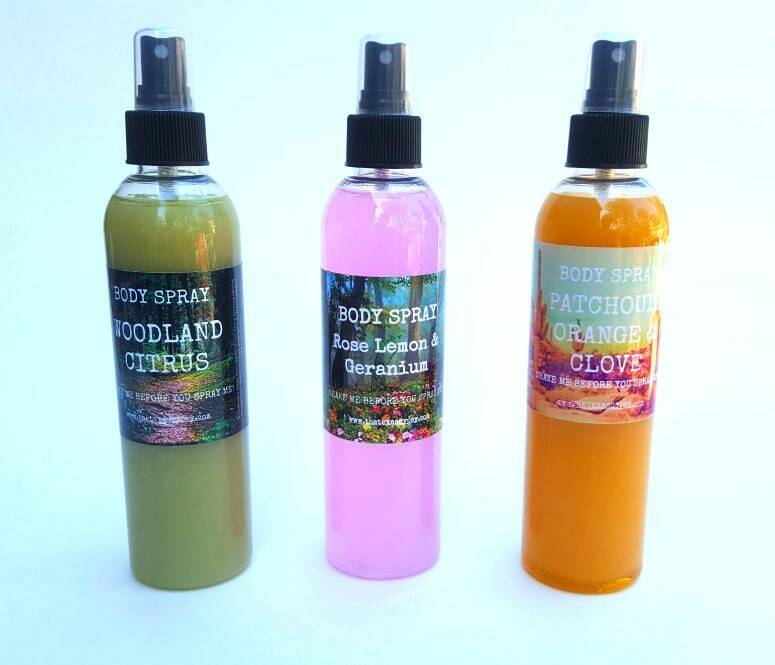 Enjoy our amazing new 4 oz Body Spray that has staying power of being able to smell this all day and the added benefit of being moisturizing as well! Directions: Shake well before using. Spray Desired amount on body. keep stored in a cool dark place to keep essential oils at prime scent level. 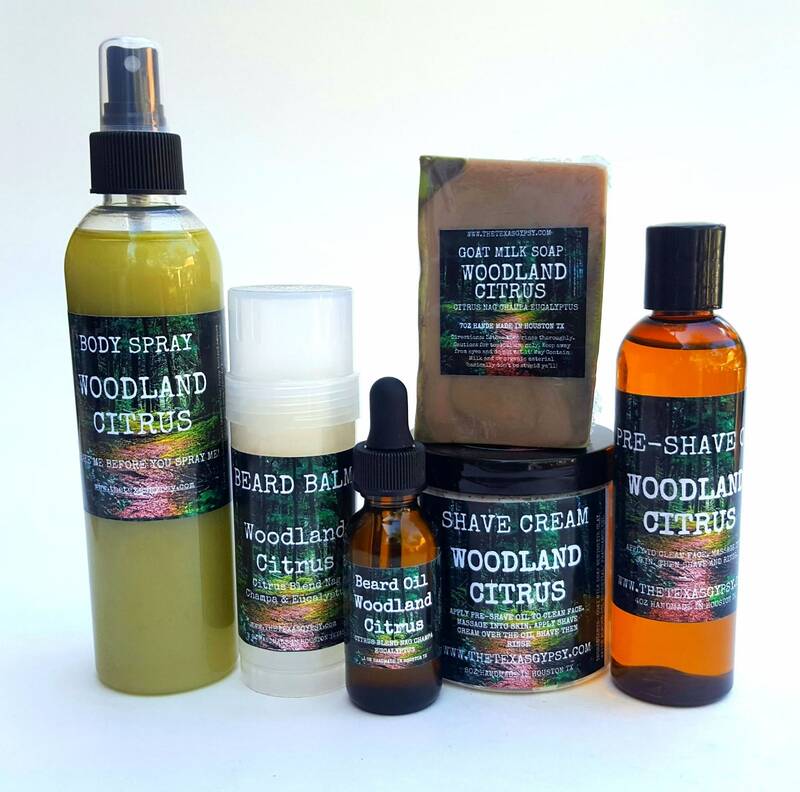 ***WHOLE SALE PRICING - Are you interested in placing a bulk order? Want to have these for sale at your business? Message me for special pricing. Please note that all orders need to be in quantities of 15 or greater. I would be happy to work with you!